Our Gingerbread House Decorating Workshop returns! Gingerbread has been synonymous with Christmas for centuries, and it’s a firm festive favourite for our team here at Baltzersen’s. You can’t beat the smell of freshly-baked gingerbread to really get you in the spirit of this most wonderful time of the year. 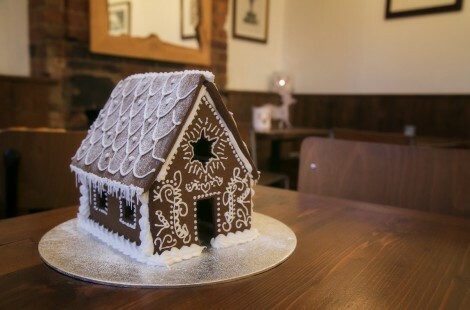 And Christmas at Baltzersen’s would not be complete without our Gingerbread House Decorating Workshop, which we’re delighted to say is returning once again by popular demand. Following the same format of previous years, the workshop offers the opportunity for family and friends to gather together and decorate a charming gingerbread house, ready-assembled by our kitchen team using a traditional Scandi recipe. There’ll also be limited hot food available that can be pre-ordered or chosen on the evening. It all makes for a pleasant and entertaining evening of Christmas creativity – with a warming festive dollop of hygge thrown in! More information and booking details can be found below, but read on to learn a little bit about the history of gingerbread houses. Gingerbread was first introduced to Europe in the 11th century, when it was used to create religious symbols at Christmas and Easter. However, it was only in the early 19th century that decorated gingerbread houses became popular. Their origins were in Germany but they were quickly embraced as part of the festive tradition in many northern European countries. Today, gingerbread houses are still a big deal in the north of mainland Europe but they have also become popular elsewhere, such as in the UK. In Sweden, families often prepare a gingerbread house to mark St Lucy’s Day on December 13th. And in the Norwegian city of Bergen, a gingerbread village is constructed by children every year. Date: **Edit** We’ve added two new dates on 18th and 19th December because the first date sold out. 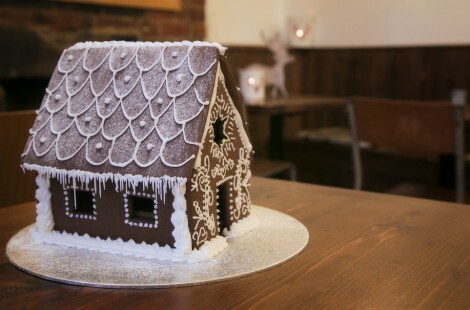 Includes: Table for four, pre-constructed house, sweets, chocolate and icing to decorate. Additional festive gingerbread shapes will be available at £5 for 4 pieces, with additional houses at £20. As always, places are limited so early booking is recommended. Call 01423 202 363 to reserve your spot or book online here. If you can’t come to the workshop, why not have a go at making one at home? We were featured in the Telegraph a couple of years ago with this step-by-step guide to making a gingerbread house.